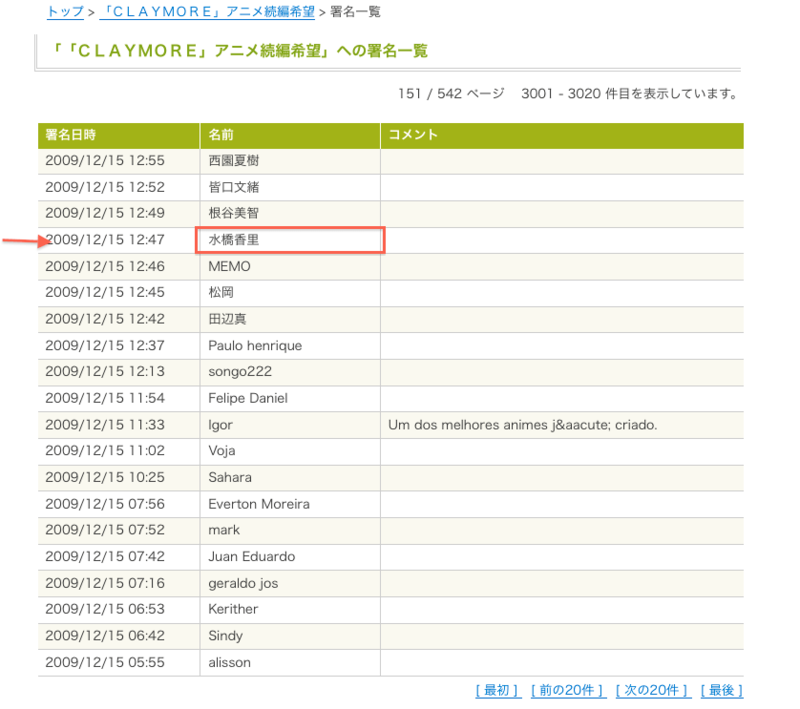 Yui Horie wants Claymore Season 2? Fun stuff. Please sign the petition – Instruction is here. 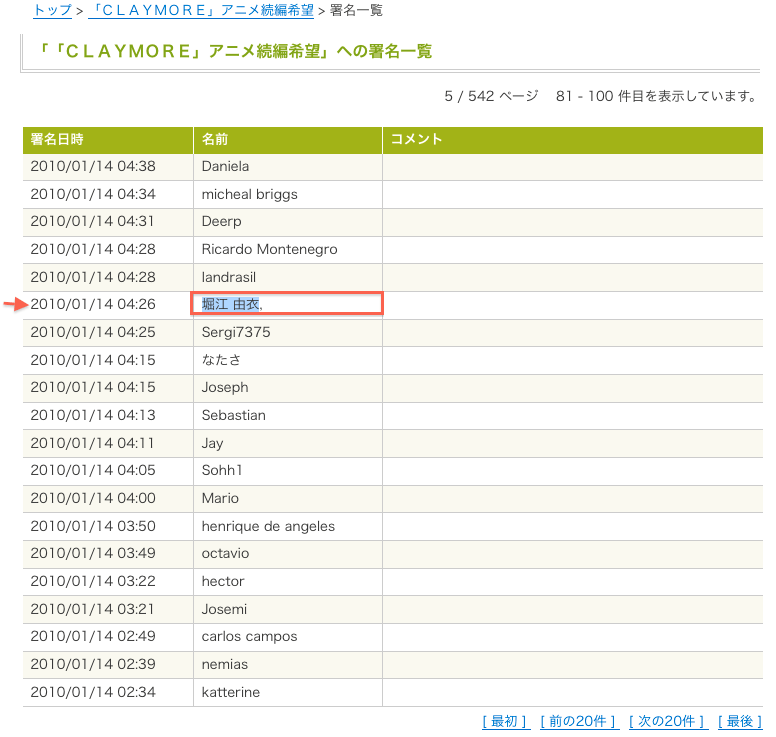 Here‘s the signature from “Kaori Mizuhashi 水橋かおり/水橋香里” – Ogiue Chika from Genshiken manga and Genshiken Season 2 below. I wish they’d use better nicknames. But anyway, we’re over the 10,000 mark. Let’s make 15,000 so they will know we are really serious!